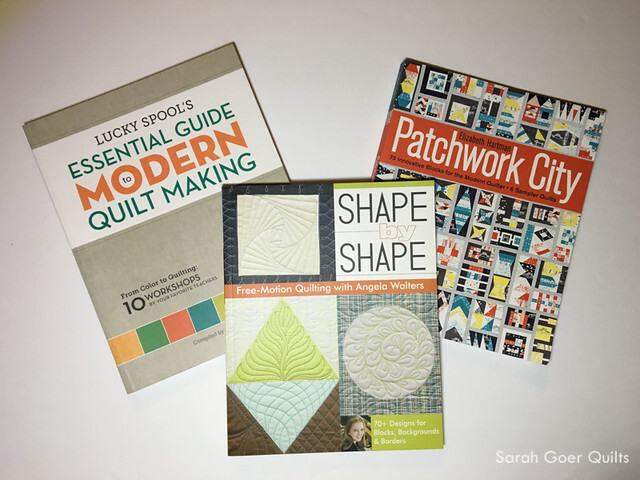 I thought I'd share a bit about three of my favorite quilting books. 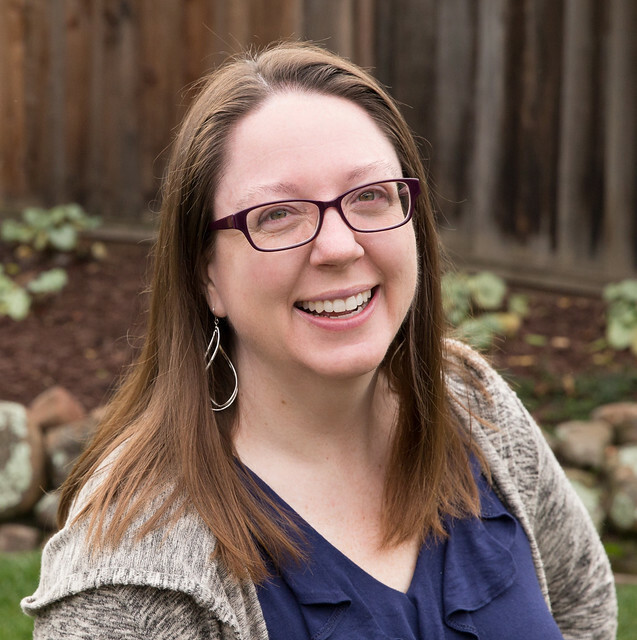 Lucky Spool's Essential Guide to Modern Quilt Making is broken into ten workshops, each written by a different powerhouse quilter. I love the variety in style and technique. This 191 page book is packed with lessons, patterns, and tips. Shape by Shape by Angela Walters is one of my go to books for free motion quilting ideas. I love the format of presenting a variety of quilting motifs that fit well in a particular shape. There are over 70 designs suitable for each part of your quilt. Check out book 2 as well. Patchwork City by Elizabeth Hartman is a charming book with 75 blocks in three sizes. The geometric blocks have fun names like Airport, Laundromat, and Clock Tower. There are so many opportunities for fussy cutting in these blocks. What are your favorite quilting books? Posted in Quilting. Tags: quilt books on December 8, 2017 by sarah. Oh, I haven't seen either of those. I'll have to check them out. Thank you for the recommendations, Wanda! These sound like great books. I'm going to check our library to see if they are there. I've been eyeing the Angela Walters' one for some time. The library is such a great way to enjoy a variety of books. I'm lucky to have four different library systems within twenty minutes of my house. It's been a while since I've looked for quilt books from the library, but in the summer I checked out quite a few. Let me know how you like them! Thanks for the book recommendations. We moved to Orangevale in February and I still don't have my sewing space set up. You are an inspiration! So I'm going to get right to work. Thank you. You are welcome! I hope the move went well. Everything takes so long to unpack and reorganize. I hope you get your sewing space up and running soon. Thanks for visiting, Johanna.